We all are required to venture outdoors from time to time and most of us are aware of the fact that there is a huge problem with the roads, parking lots, highways and also driveways. In fact, because of the continual usage and neglect, the majority of the pavements in the US require asphalt repair immediately. Nevertheless, many individuals believe that it is a losing battle because the maintenance of highways is lagging considerably. However, it is a wrong assumption. Repairing any type of pavement, whether it is private or public, while it starts to show the symptoms of deterioration depicts that it is really worthwhile to prevent any further damage. As a matter of fact, potholes will develop when all these cracks are not taken care of. Potholes which are left unattended or patched poorly often trigger tremendous deterioration of the roads. How can asphalt road repair help? According to the Federal Highway Administration, nearly $17 billion were invested by the state transportation department for constructing new roads in 2006, in contrast to $32 billion (approximately 50%) on the present road pavement preservation. Although this information does indeed reflect that a significant amount of money was invested on the roads, the majority of the transportation department believed that it is not up to the expectations. The best materials are being utilized for smart asphalt road repair at the proper time which indicates smart pavement management. It is possible to save several dollars after a few years if we expend at least one dollar for the preservation of small payments. One cannot overemphasize this particular fact. 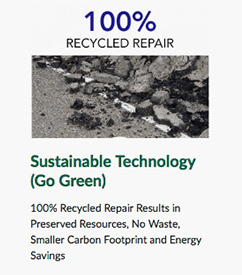 In fact, we can compare asphalt repair with exercise and nutrition in the human health. The costs of repair will be reduced in the near future if it is done properly on a regular basis, however, there will be a significant enhancement in the performance and vitality of the highway throughout its lifespan. 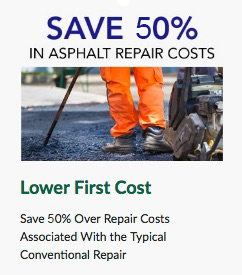 Nevertheless, asphalt repair in proper time can definitely induce economic advantages. In the subsequent paragraphs, let us take a look at how quality roads can benefit a city or a state. Among the major reasons for the automobile as well as truck accidents at present is the poor pavement condition. In fact, every year over 4 million individuals are injured and at least 50,000 people die in car accidents. The costs related to vehicle mishaps are more than $ 200 billion. Every year, nearly 1 billion trips are taken by the Americans which can generate approximately $500 billion in expenditures. In addition to that, nearly 60 million international tourists visit the USA and stay here for several weeks. In the passage of time, all these vacationers as well as their money reach to the suburbs and also wilderness locations beyond the significant urban centers. The consumption of the gasoline is more than 8 million gallons while nearly 5 billion hours are being wasted in traffic jams. The potholes are fixed by the hot-mix asphalt which is done without taking much care and this will leave a stretch of irregular pavement which can last for several weeks or even months. However, innovations which bring about superior pavement preservation techniques usually create a much smoother road which is very easy to use and can last much longer as compared to the hot mix asphalt. 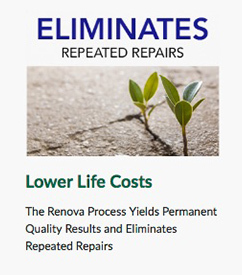 According to many individuals, it is really a losing battle to maintain the quality of the roads as well as highways; however, a thoughtful study of the strategic asphalt repair will prove that the costs will easily be outweighed by the benefits.